Patron are known for picking Agave plants with a higher sugar content, which, when fermented and then distilled, are said to produce a very distinct flavour profile. For Gran Patron Platinum, Patron take the Blue Agave selection a step further by removing leftover sprouts from any Agave before that Agave is baked. This is believed to remove bitterness while ensuring the highest sugar content possible. The tequila is then triple distilled, aged for a select period and placed in beautiful crystal bottles. On the nose the tequila releases rose petals, Turkish delight and very clean agave with notes of caramel, pepper, Chinese five spice, lemon and tangy citrus. On the palate the tequila is very smooth and light, with a bite of cinnamon and pepper that recedes into agave with undertones of earthy honey progressively sweetening into the finish, increasingly becoming sugary and crystalline with lingering zest, floral notes and sweet clean ethanol evapourating from the base of the tongue. The finish offers lingering clean ethanol and earthy notes with pepper and agave. 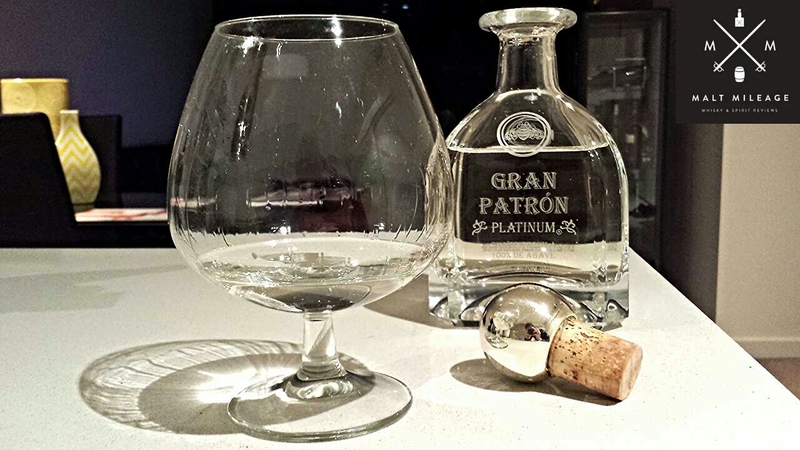 Overall, Gran Patron Platinum is a super smooth tequila with an underlying sweetness that softens the agave and spice. The alcohol itself is very clean and, in my opinion, it seems to have been masterfully distilled. Having been distilled three times, some of the agave flavour seems to have been stripped away and the ethanol in the tequila dominates towards the finish, releasing vodka-like notes. The flavours are there, but very astringent and it almost tastes similar to inhaling hand running alcohol at times. I am not sure this is what I had expected of an ultra-premium tequila, especially one that sells in Australia for $450. I would not pay even a quarter of that price for this tequila, but the crystal bottle will make a beautiful decanter! Make no mistake, this is nice tequila – it is just overpriced, over-hyped and, to be frank, nothing special in my humble opinion. This entry was posted in TEQUILA and tagged agave, honey, mexico, patron, tequila. Bookmark the permalink.